If you are a brick-and-mortar retailer who is still wondering if you need a high-speed wireless network, check out why all retail stores should offer free WiFi, but if you are one of the savvy retailers already embracing the digital world, here’s how you can leverage it to drive sales and improve your business. What is Retail WiFi Marketing? Retail WiFi marketing is when a retailer provides free WiFi access to shoppers and then uses the mobile WiFi connection to communicate messages, promote their products, and build brand loyalty. Typically, WiFi marketing requires an add-on application to your wireless network. Simple applications allow you to collect shopper contact information and display a message or ad on your customer’s mobile device, while more complex applications actually track shopping patterns, purchases and habits, allowing you to create targeted offers, follow-up email campaigns and social media ads for specific shoppers. How Does Retail WiFi Marketing Work? Your retail WiFi network will have a coverage area, usually within the borders of your store. When shoppers enter your store and attempt to join the in-store WiFi network, their phone or other WiFi-enabled device will redirect to a webpage, which you create. By collecting these email addresses, phone numbers and/or social media profiles, you not only have the opportunity to market to customers on the spot (with your splash page), but you’ll be able to send shoppers targeted offers in the future, either through text, email or social ads. What are the Benefits of Retail WiFi Marketing? When used properly, WiFi marketing can actually drive sales and build brand loyalty. Here are the three main ways you can leverage it to benefit your bottom line. Promote a Product or In-Store Event in Real-Time. Your splash page is your opportunity to communicate important information to shoppers on the spot. Let them know about current promotions running in-store, and consider adding an extra 5-10% off for those who log into your network. You can also use the splash page to notify customers of upcoming in-store events to spur return visits. Some retailers even use the splash page to help fund the costs of their WiFi marketing. Consider selling ad space on your splash page by partnering with nearby restaurants to offer dining discounts, or asking the neighborhood pub if they want to promote their drink specials. Retarget Interested Customers. Whether you’re collecting email addresses or social profiles, you are building a list of warm leads – customers who are already interested in your brand and product and whom you can market to in the future. With WiFi marketing, you can access a customer’s visit history and reward return customers with specific products, discounts, rewards programs and other incentives, based on number of visits and purchases. For example, if a shopper returns to your store for the second time in a week, you can text a coupon to use on the spot. Alternatively, if a customer hasn’t been in for a while, you can email a “We miss you” offer to entice him or her to come back. Improve the In-Store Experience. With WiFi marketing, you have the ability to track customer movements and purchasing habits. You can then use this data to determine where in your store customers are most likely to convert and place your highest-margin merchandise in those locations. 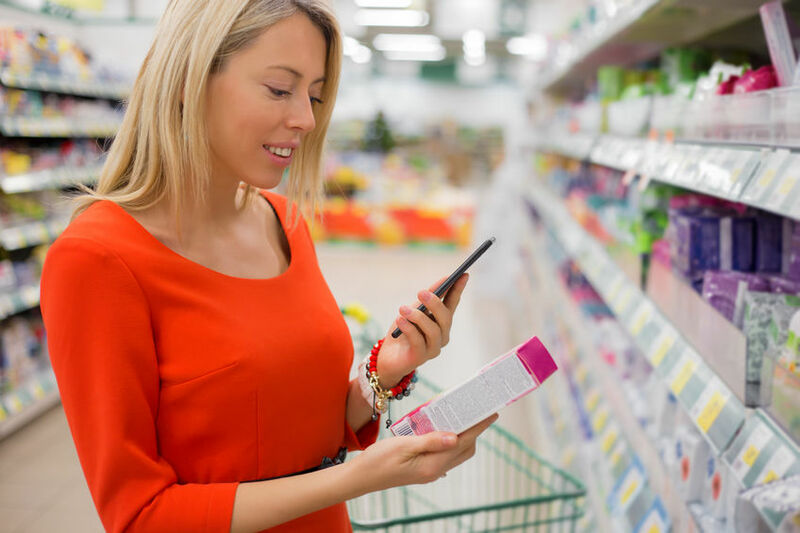 In addition, WiFi marketing applications can help shoppers add products to their shopping lists, find aisles for specific items, and discover new products. Some savvy retailers are even combining the data collected from the in-store experience with retargeting for the ultimate win. Imagine this, a customer lingers on a specific product for several minutes while in store, then that same item is remarketed to them on Facebook or via email the following day! WiFi marketing is only possible when you have a secure wireless network and the bandwidth to support it. So, to get started, you’ll need to know if your current network can support your WiFi marketing efforts. Not sure if you in-store WiFi is sufficient? Deep Blue can perform a site survey and evaluate your current platform for you, and if it’s outdated or slow, we can help you upgrade. As a leader in retail and in-store WiFi services, we offer enhanced network services, WiFi engineering and installation, as well as U.S. based WiFi support. We are also the preferred retail WiFi service provider for many national retailers, including Carmax and Planet Fitness. To speak with a Retail WiFi specialist, call 1-844-554-3826 or request a site survey.